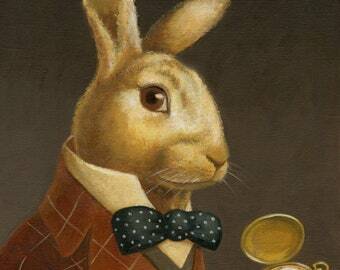 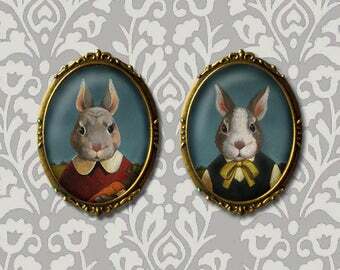 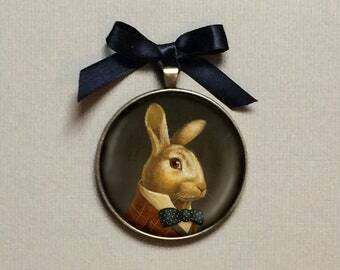 This Victorian inspired Rabbit Brooch will add a touch of whimsy to any rabbit lover's lapel or sweater. 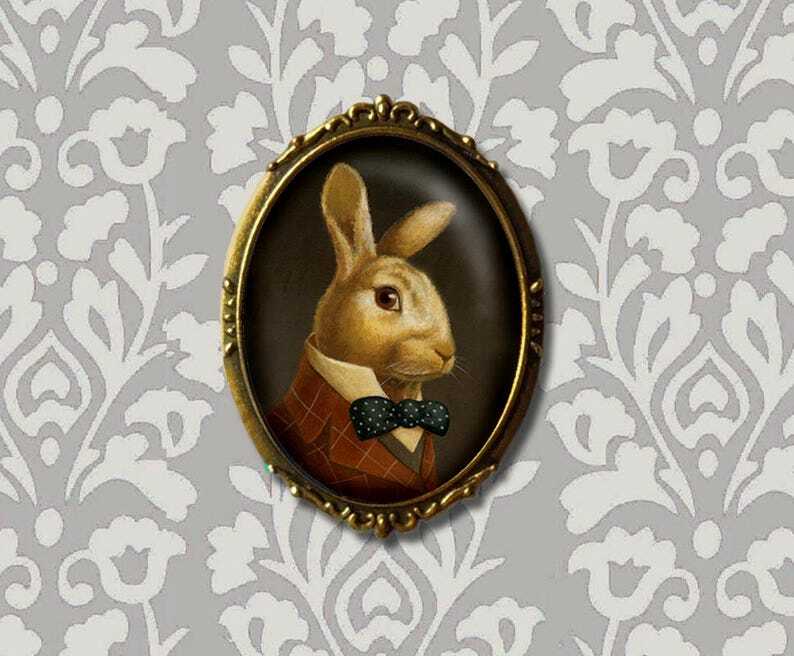 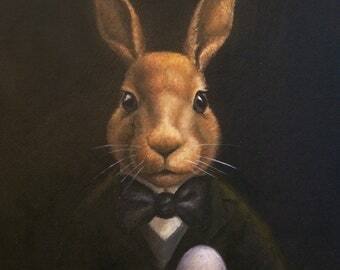 In true Victorian style, he makes a perfect gift for any rabbit lover, animal lover or Alice in Wonderland fan and packaged in his own felt pouch he also makes a great stocking stuffer or Secret Santa / Pollyanna gift at Christmas! 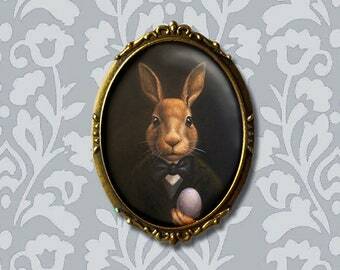 Each oval brooch is 1 3/8" x 1 7/8" (image size is 1 1/8" x 1 5/8") and made of bronze with an antique gold finish and a resin cabochon sealing in the print. 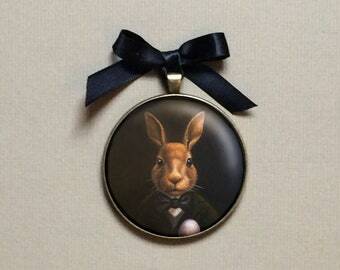 It comes pinned to a card in it's own felt bag tied with a satin ribbon. 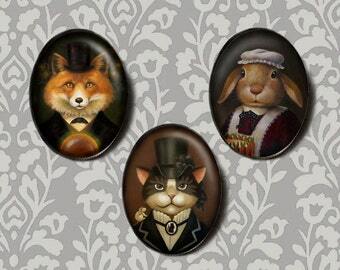 Fabulous artwork. 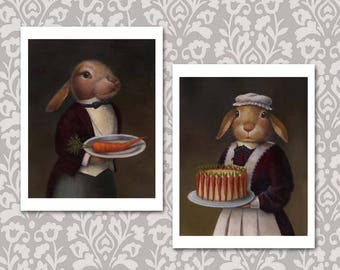 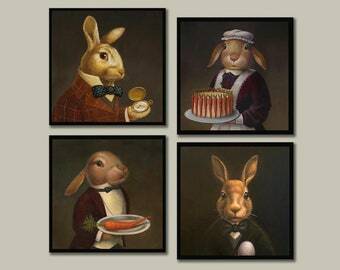 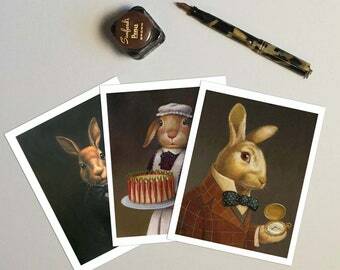 Great design and great gift for the rabbit lover in my life!